Looking for a tailored and timeless presentation? Take inspiration from this sleek double walled clamshell box for a real estate client. The walls and cover are in midnight Iris book cloth and the floor is in white Iris book cloth. 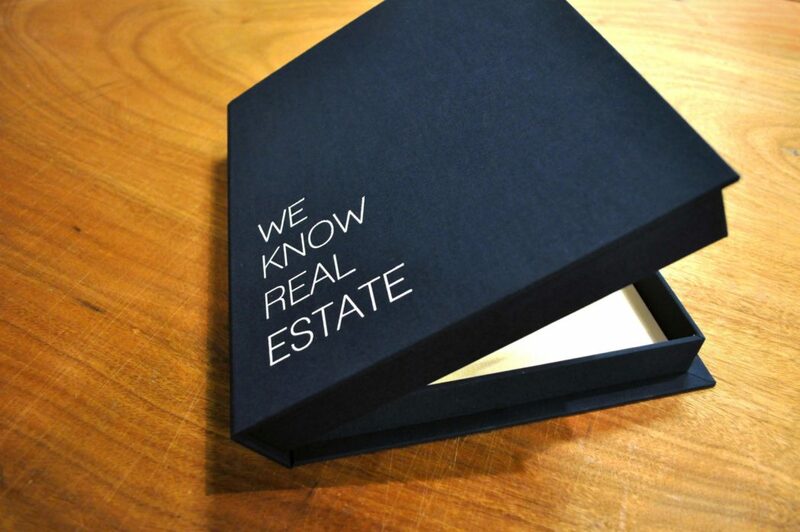 “WE KNOW REAL ESTATE” is screen printed in white ink on the cover. Simple, yet powerful! Take a look at our PDF portfolio for more ideas on how we can elevate your presentation! Previous PostLooking for Something out of the BOX?